"Love Alert" is starting soon on the 31st. 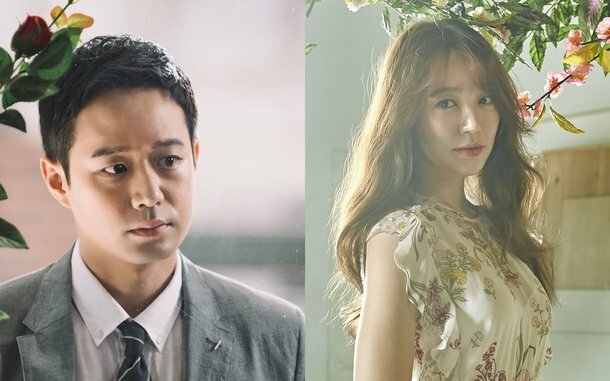 The new MBN drama "Love Alert" is a romantic drama about a celibate doctor named Cha Woo-hyeon (Chun Jung-myung) who gets involved in a scandal with top actress Yoon Yoo-jeong (Yoon Eun-hye) for inexplicable reasons. Chun Jung-myung takes on the role of Cha Woo-hyeon who doesn't care if all the women in the world come falling at his feet. He's affluent, but he doesn't care for relationships and doesn't trust women. Yoon Eun-hye is a top actress named Yoon Yoo-jeong. She's known as the queen of romantic comedy, but doesn't know a thing about love. She wants to meet a man of destiny and fall in heart-warming love. "Yoon Eun-hye and Chun Jung-myung's "Love Alert" Starting on the 31st"
Go Hyun-jung Is Lovely in First Public Appearance since "Return"